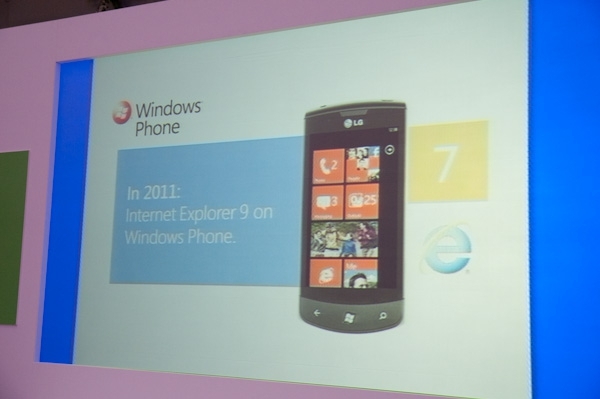 The scuttlebutt had it right - among the updates Microsoft has planned for WP7 are a mobile version of IE9, a Twitter hub and (finally) multitasking. While there's no timeline for delivery of these updates, the expectations are that these will be delivered this year. More immediately, the first WP7 update (codenamed NoDo) has been confirmed for the first couple of weeks of March bringing with it copy and paste support, CDMA support and performance enhancements. Hmm, no Flash is a bit of a downer. But the other upgrades look nice. While there's no timeline for delivery of these updates, the expectations are that these will be delivered this year. Well, sort of: second half 2011 is what they've said. So there's a timeline, but it's a vague one.